Please note that I use the term mining broadly in this series of posts to include a range of small-scale mining approaches such as sluicing , drywashing, sniping or crevicing, and highbanking. What is not included here is, of course, suction dredging. Dredging activities are not allowed in California under the repression and idiocy of the current state moratorium. However, you can still grab your trusty gold pan or a piece of the above-mentioned mining gear and try your hand at recovering some color in the once-Golden State. In this series of posts I’ll provide you with a few tips on some good spots to try and what you can expect to recover from them (providing you already have some basic mining/prospecting skills). Consumnes River: Just about every accessible stretch of the upper Consumnes will produce decent gold values. The same holds true for its tributary and feeder streams. Some very nice nuggets and placer pockets have been recovered recently on the Consumnes close in to the town of Plymouth. Dry Creek: If you’re willing to do a bit of hiking and pack your gear into this more remote and less accessible area you’ll find some very good values, including small nuggets and “chunkers.” Use good sniping techniques, a snipe tube, and a small sluice or gold pan. That’s all you’ll need (providing Dry Creek doesn't live up to its name). Jackson Creek: I can’t remember a time when I was mining in California’s Motherlode when Jackson Creek wasn’t mentioned again and again through the mining “grapevine” as being “highly productive.” Try the areas of the creek near Pine Grove or pull off Highway 88 which follows the creek’s course for a ways. Big Indian Creek: If you have your heart set on recovering nuggets then Big Indian Creek is the spot to check out. Many small to medium-sized nuggets have been recovered from Big Indian in the last 10-15 years and it is still a consistent nugget producer for those small-scale miners and snipers who have it together. Ione: Just north of the community of Ione is an area known as Forest Home. Although the gold tends to remain mostly small “chunkers,” fines, and flakes, old bench gravels here are consistent gold producers. The trick here is processing as much material as you can…sniping won’t do you any good. That’s it for this round. 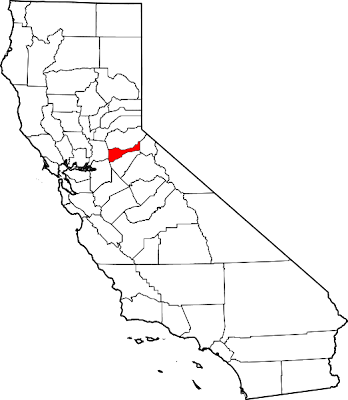 In a subsequent post I’ll cover some spots in Calaveras County. Until then, be safe and keep smiling.